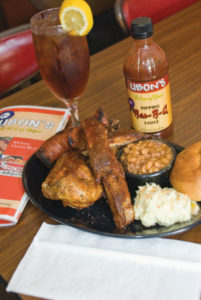 Ubon’s Barbeque of Yazoo (ubonsbbq.com) is nationally recognized and has won numerous awards and championships. 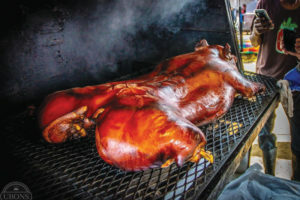 The late Garry Roark, Pitmaster, was featured on television programs, such as Fox and Friends and participated in the Big Apple Barbeque Block Party in New York City, one of the country’s largest BBQ festivals. Unfortunately, Roark passed away in August 2018. 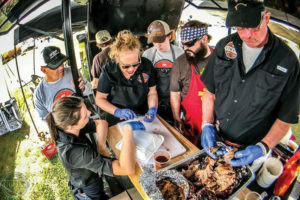 But the legacy of award-winning BBQ continues through his daughter, Leslie Roark Scott and her son, Jacob Scott. 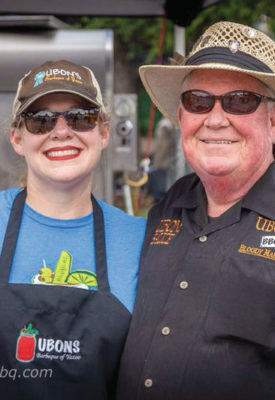 Leslie Roark Scott says Ubon’s started with her grandfather, Ubon Roark. While he was alive, Ubon was known as the social chairman of his family. Scott reminisces that he cooked every Sunday and people got accustomed to seeing smoke billowing above his house. Scott adds that anytime the grill was going at her house while she was growing up, people would show up and ask her father to make sauce for them. “My father started catering in the mid-1980s and was making Ubon’s sauce, one gallon at a time. The last time he made it in the kitchen, he made fifty one-gallon jugs. My mother told him that if he was going to do it, do it, but quit doing it in her kitchen,” she laughs. So, Garry Roark found a place to make his sauce and he began to bottle it in 1986. Scott says that by 1990, her father had won a grand championship in BBQ. And in 1991, they attended their first Memphis in May. It was a little later that Scott started pushing her father to let her do some of the cooking, especially when it came to ribs. Scott’s father worked in data processing at Mississippi Chemical at his ‘real’ job and moonlighted as a passionate Pitmaster in his spare time. 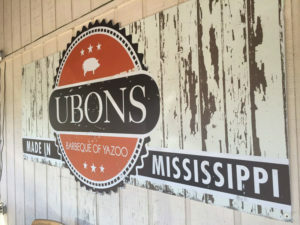 Roark and a partner opened up Ubon’s Restaurant in Yazoo City without any restaurant experience. Scott says that inexperience resulted in them opening up too many restaurants too fast: Yazoo City, Madison, and a deli in Yazoo City as well. In 2005 they were invited to go to the Big Apple Barbeque Block Party, which is where everything really changed for Ubon’s. “It gave us our first bit of national exposure, and eventually it also gave us international exposure,” Scott says. “From there, we watched the whole face of BBQ change. It was as though, once New York City understood something, everybody understood it on a different level. And we received so much press coverage. That first year we were on “Unwrapped” which is on the Food Network, and it was wild. We went from rednecks burning meat in our small town to rednecks burning meat in a big city,” she laughs. 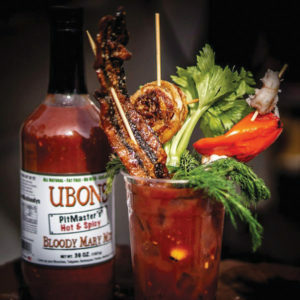 With the untimely death of her father, Scott is determined to keep Ubon’s Restaurant, Ubon’s BBQ, Ubon’s Sauce and the Bloody Mary Mix her father developed many years ago, at the forefront of the BBQ and retail world. All with the help of her teenaged son, Jacob Scott. Scott says since her son was very young he had been helping his grandfather with festivals, prepping his first Memphis in May at nine-years-old.